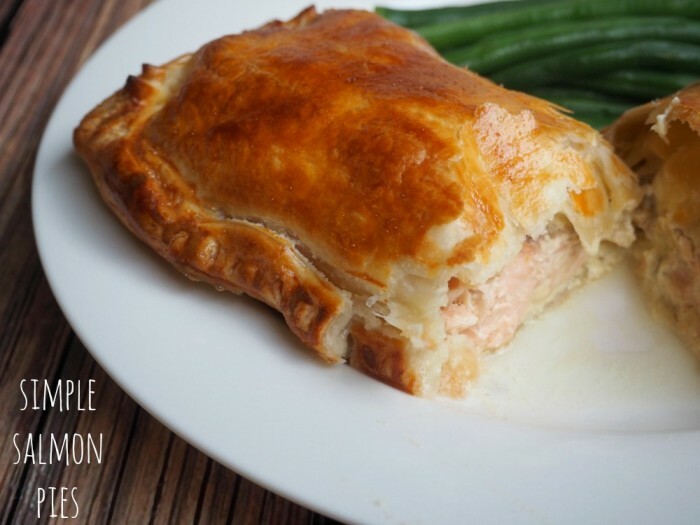 This is fish pie meets salmon en croute. Whatever you call it, it’s still fish-alicious! Combine the sour cream, mustard, horseradish, capers, lemon rind, salt and pepper and set aside. Cut each pastry sheet into halves . Place a couple of tablespoons of the sour cream mixture on 2 pieces of the pastry. Top with a piece of salmon and the remaining sour cream mixture. Top with remaining pastry and press edges to seal. Place on baking trays lined with non-stick baking paper and brush with the egg. Bake for 20 minutes or until pastry is puffed and golden. Serve with green beans or a green salad. 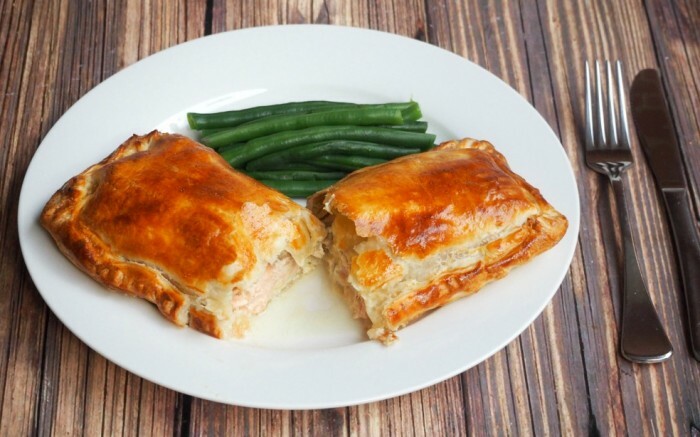 If you want to make 4 individual pies, cut each pastry sheet into 4 squares and use smaller pieces of salmon.